Nellie Stone's descriptions of Ned Stone were very much at odds with those offered up by another family member, Betty Stone daughter of John (older brother to 'Big Les'). As to who is the reliable witness - sister in law or grand daughter is a matter of conjecture although we prefer Betty Stone, still living as the reliable witness by reason of her proximity. Clearly the families were estranged which did not make for much interaction. My direct line is through Edwin aka Ned STONE. Our living witness Betty STONE has fond memories of her grandfather. According to Betty’s recollection he was a man who could read and recite Shakespeare and was a talented ‘iron moulder’, nowadays known as a wrought iron craftsman. Like his father he worked on the railways. A piece of his work, a small table survives to this day and is preserved by family members, so too his walking cane. These are small but precious reminders of a past generation reaching back to the 1800’s. John aka Jack STONE, Betty’s father was close to his father and spent a great deal of time with him. By all accounts he did not enjoy the same relationship with his mother Rosie according to Betty. Jack STONE was an agnostic like his father Ned. Both were ‘self educated’ and well read by all accounts and had an opinion on a range of issues. Betty of her own choosing was baptised an Anglican. Nellie STONE always claimed ‘Big Les’ and his mother were close. Conflicts over religion and politics seem to have figured in the mix and Nellie STONE, otherwise known to Shane Stone as nana given she was his father’s mother was always quick to point out that both Ned and Jack were atheists and communists. I have not found any evidence of either and Betty has confirmed the same. For her part Nellie was committed to the Labor Party to the day she died although I have a suspicion that in the privacy of the ballot box she was voting DLP up until their political demise. One thing I know for sure was that Nellie Stone never voted Liberal – in her words ‘‘the Party of the bosses’’. Betty STONE recalls her father John aka Jack STONE recounting visits to stay with his grandmother (Harriet) in Korumburra West Gippsland and witnessing bush fires as a child. According to Betty this left an enduring impression and experience on young John STONE that remained with him throughout his life. However this would have been well after John and Harriet’s arrival in Victoria and long after John’s death in 1869 given that John aka Jack was born 1890. We have not been able to prove Harriet ever lived in Korumburra. 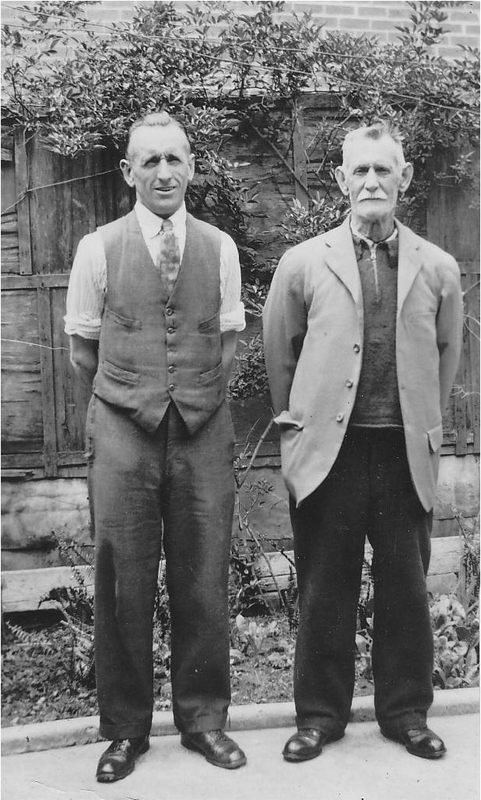 However, we have authenticated extended family members living in and around Korumburra and Maryborough so perhaps in company with his grandmother Harriet he made these visits to see his aunts and uncles. After 3 years of solid research we now know where we came from and who comprise the family over 5 generations in Australia, all authenticated and documented - this has been a very worthwhile and at times difficult journey. 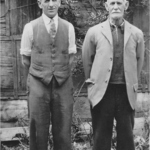 Our next task was to confirm the connection between the STONE family of Australia and Nicholas Goad STONE of Holbeton and his ancestry. Nicholas Goad STONE was John STONE’s father. Working back from Australia with what I knew from the previous generation I have documented the connection between our STONEs of Australia (Jack – Shane – Leslie – William (aka big Les) – Edwin (aka Ned) – John - Nicholas Goad STONE (father of John and a resident of Holbeton in Devon who lived between 1813 and 1891). First we have summarised the Australian generations to put matters in context. We have used a descendant ordered format. It presents information about an ancestor and moving forward in time to an individual’s descendants – in this case Shane and Josephine Stone’s two children both still living. We made Jack Leslie STONE the ‘home person’ for the purpose of presentation of genealogical charts and register. You can only have one - he is the eldest and successive eldest male over 7 generations. In this document we have split the Australian family from our English ancestors and in the process created two chapters dealing with Stones in Australia and Stones in England. We have paraphrased certain information for the sake of brevity. For example William Henry aka Billy STONE was an ‘iron moulder’ so described on numerous certificates. Without listing all those certificates with footnotes his occupation is stated once only. We have not included, for example that he was employed by the Victorian Railways which is evident from many certificates he worked in different capacities from ‘engineer’ to ‘ganger’. More extensive information ranging from employment to enrolment on electoral roles and places of residence is entered on the STONE Master Family Tree which we have not published at this stage as we are in the process of changing platforms. We have used footnotes by chapter rather than endnotes principally for the convenience of the reader. Where a website is cited it was accurate at the time of inclusion however sites change and get taken down. If the reader becomes aware of a broken link let us know and we will repair. Where I have not been able to authenticate a date I have stated so. If I have exhausted all inquiries in relation to an individual I have set that out in the relevant footnote. It was always improbable that I would find accurate records for all. We welcome any additional information that others might have to fill the gaps. For example Emma the eldest girl and second born to John and Harriet STONE married THOMAS yet we know so little about this family. By reason of restrictions in accessing Births Deaths and Marriage data (for example in Victoria the following are available as historical searches - births 1853-1908; marriages 1853-1942; deaths 1853-1985 - otherwise only individuals and direct family can access outside these dates) we have relied on individuals who have contacted other family members for details. I don’t vouch for that information but rather include it as conveyed to US. Further I have added cause of death, certifying doctor and age at death for completeness. We have deliberately repeated this information together with other facts ad nauseam so the reader is not having to keep referring back or forward. I hold all original and extract certificates relied upon in our family’s central archives supporting each reference. Where family members are living they are simply described as ‘living’ omitting all birth and marriage details to maintain anonymity and protect identity. I have added a number of my own sub headings to assist the reader in navigating the generations together with bolded numbers, for example to emphasis the generation. Under Generation 6 Australia we have the first of generation 7 in Australia – the KOOPMAN Family.